S.S. 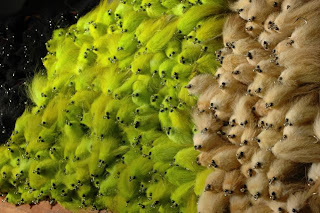 Flies is an artisan fly manufacturer headquartered in Denmark, ME. Whether you're chasing tarpon in Key West, permit in Belize or bonefish on Andros, S.S. Flies can fill your boxes with some of the best flies available. They offer patterns for snook and redfish and specialized flies for the Northeast too. It's rare to find a USA based fly manufacturer that actually can make the claim MADE IN THE USA. 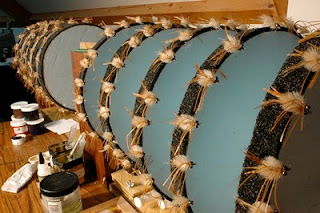 In addition, they do custom work ranging from patterns for brookies to sailfish. Peter Smith is the man behind this operation and you can meet him at the upcoming Marlborough and Somerset Fly Fishing Shows (Fly Tiers area). Visit the S.S. Flies web site to learn more about this unique fly fishing brand and to see more cool pix/patterns.